360 camera lenses are often hard to keep clean because they don’t have a lens hood. 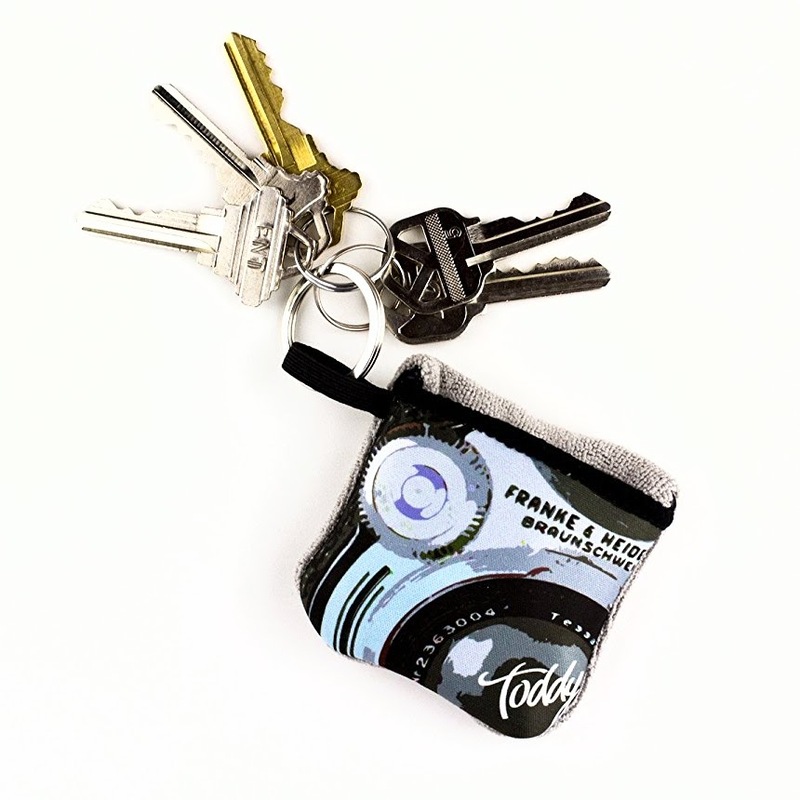 Pocket Toddy is a microfiber lens cleaning cloth that hangs from your keychain. 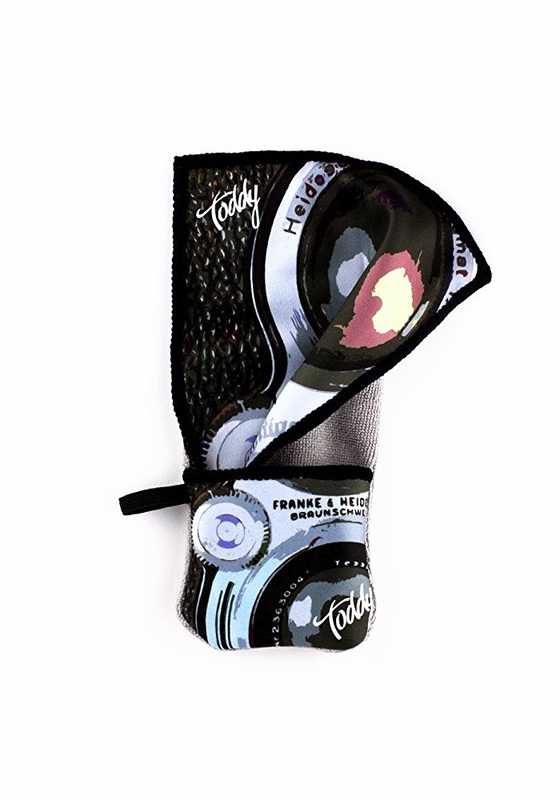 It folds out to cloth that is around 4.5 inches x 6.75 inches, then folds back to a two-inch square. I’ve used one for several years and it’s held up under use. Usually I don’t even fold it out anymore. I just wipe it on the lens and it’s convenient and handy. Pocket Toddy comes in several prints such as the photo of a twin lens reflex camera shown above or other patterns, and is available from Amazon.